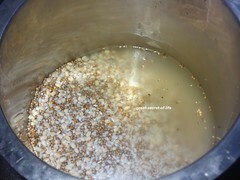 I love millet base recipe. 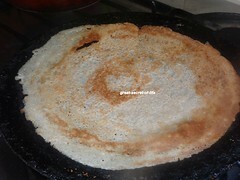 I wanted to try Kambu dosa for quite sometime. 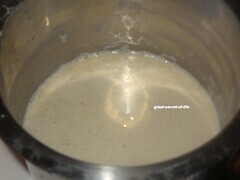 I wanted to try recipe that is completely millet base (with no rice). 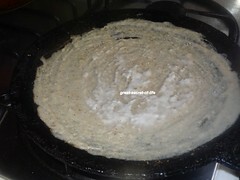 I have added barnyard millet. 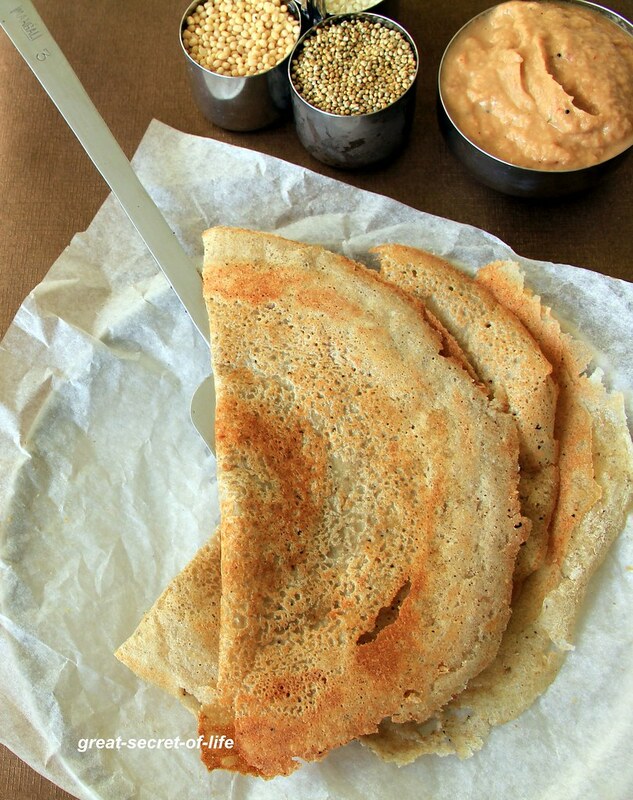 The dosa came out pretty yummy and it is perfect healthy start for the day(breakfast) or perfect way to end your day (dinner). I was bit worried about the result as there is no rice at all. But it came out perfect. In fact I didn't miss the rice in this recipe at all. 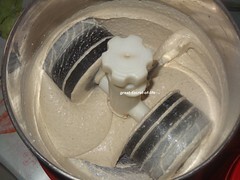 Take it out and let it ferment it for 5-7 hrs or overnight. Heat the flat pan. 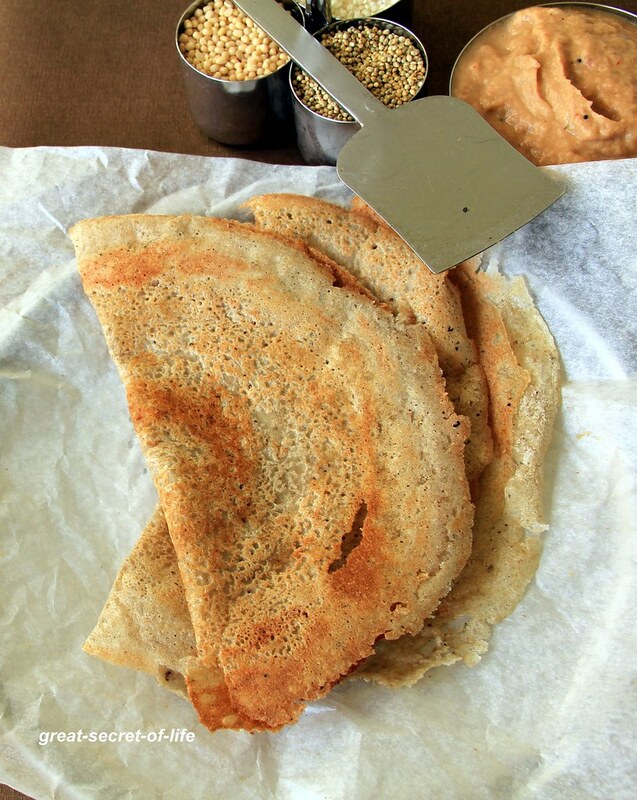 Take a laddle full of batter and spread it outwards to make crisp dosa. 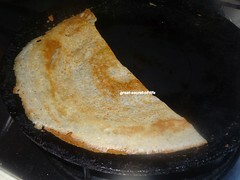 Drizzle oil around it ( I have used 1/4 teaspoon per dosa) and let it cook till brown spots appear. Turn it over and cook again. Fold it and take it out. 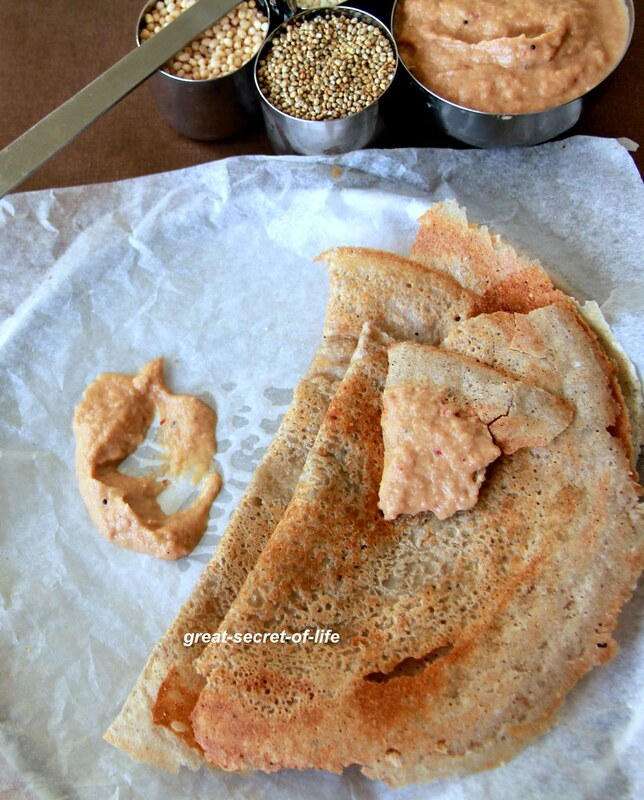 You have so many varieties of dosa... looks super healthy !